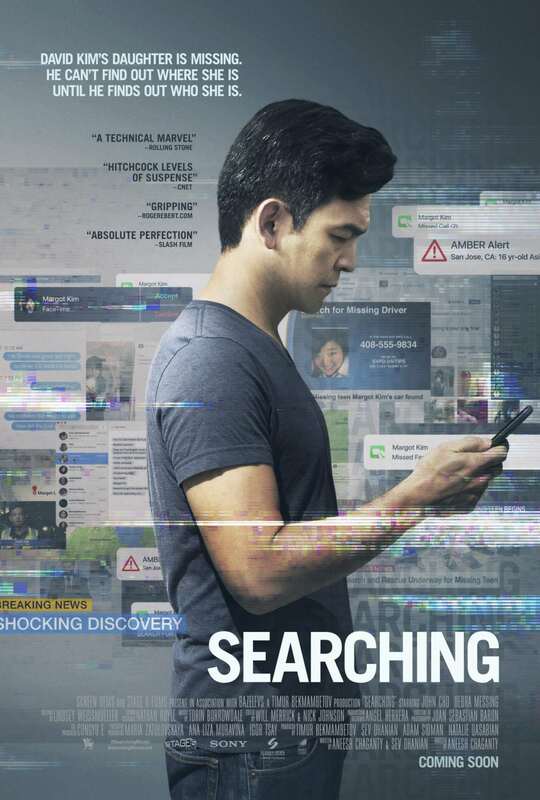 If you saw the 2018 Sony Pictures production, Searching, starring John Cho and directed by Aneesh Chaganty (who also co-wrote the film with Sev Ohanian), you know it had an innovative approach to telling a story: using the screens of smartphones and computers. Let’s face it—a movie about a man searching for his missing daughter sounds pretty common right? (CoughcoughTakencoughcough) But with this film, the filmmakers subverted convention by telling the story a different way. it is a unique way of telling a story. to breathe new life into a genre. 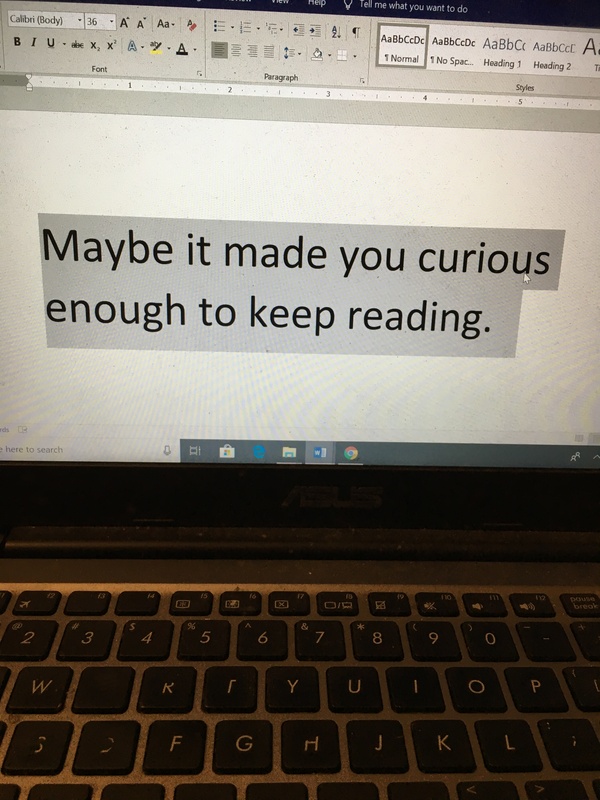 I can’t help thinking of novels in verse or even epistolary novels (where a story is told through letters, diary entries, newspaper clippings, emails, or even tweets). These formats are great ways to experience the beauty and variety of storytelling. What is the most unusual format you’ve seen someone use to tell a story or to get a message across? What intrigued you about that format? 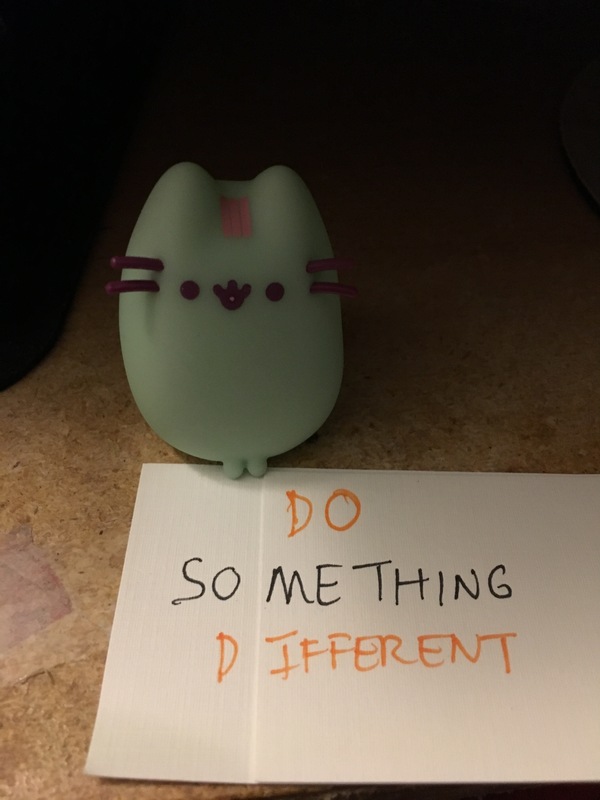 How did it inspire you to try something different (if it did)? While you think about that, check this out. This is a wrapper from a Halls Breezers throat lozenge. 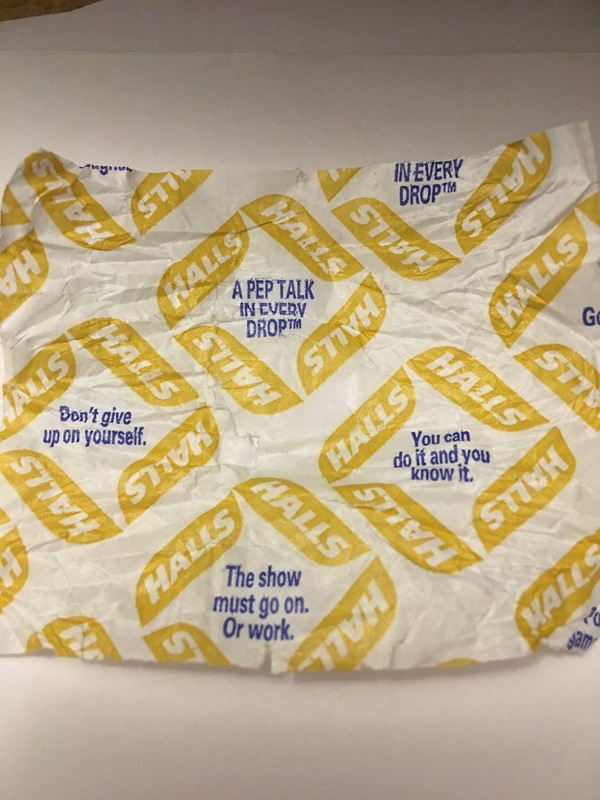 I love that the company included a pep talk on each wrapper. A great video on the production of Searching can be found here at the Lessons from the Screenplay YouTube channel. It has spoilers though. Searching movie poster from flickeringmyth.com. Envelope gif from figuringitouted.blogspot.com. 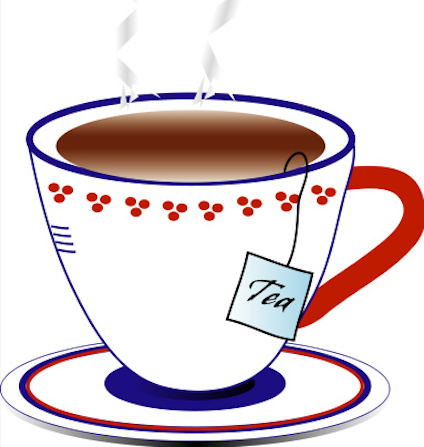 Cup of tea from worldartsme.com. 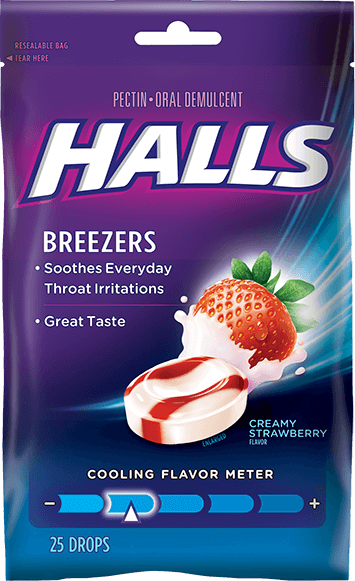 Halls Breezers image from gethalls.com/breezers. Other photos and screenshots by L. Marie. Break out your flight suits, kids! Today on the blog, we’re going up, up, and away, with the totally awesome Cori McCarthy. She’s here to talk about her new young adult novel, Breaking Sky, published by Sourcebooks on March 10. Perhaps you’ll recall that Cori was here in 2013 to talk about her first book, The Color of Rain. In this high-flying, adrenaline-fueled thriller, America’s best hope is the elite teen fighter pilots of the United Star Academy. Chase Harcourt, call sign “Nyx,” is one of only two pilots chosen to fly the experimental “Streaker” jets at the junior Air Force Academy in the year 2048. 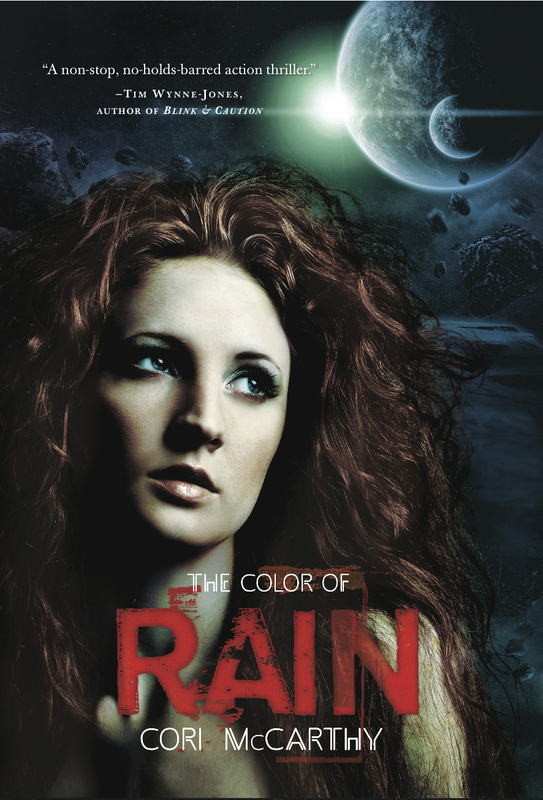 She’s tough and impulsive with lightning-fast reactions, but few know the pain and loneliness of her past or the dark secret about her father. All anyone cares about is that Chase aces the upcoming Streaker trials, proving the prototype jet can knock the enemy out of the sky. But as the world tilts toward war, Chase cracks open a military secret. There’s a third Streaker jet, whose young hotshot pilot, Tristan, can match her on the ground and in the clouds. Chase doesn’t play well with others, but to save her country she may just have to put her life in the hands of the competition. Exciting, huh? Stay put after the interview for a giveaway announcement. El Space: Four quick facts about yourself? 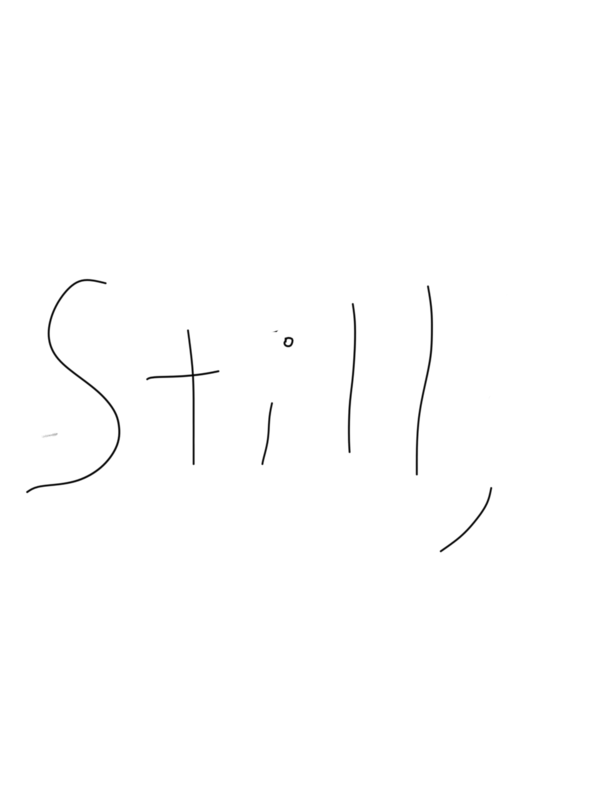 Cori: (1) I am restlessly creative. (2) I do not like sweets, desserts, or chocolates, but if you place a bowl of pasta in front of me, beware of losing your fingers. (3) My goal for retirement is to live in the New England woods, writing full time without access to the internet. (4) My two big brothers are my heroes—well, tied with Walt Whitman. El Space: Tell us about Breaking Sky. What was the inspiration behind it? Cori: The inspiration was about ten different elements coming together. 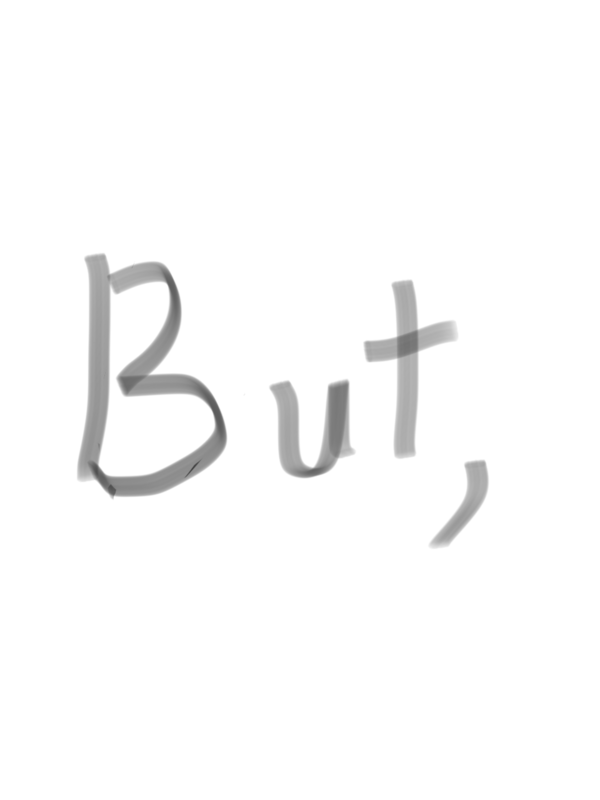 I wanted to write about an unlikeable character. 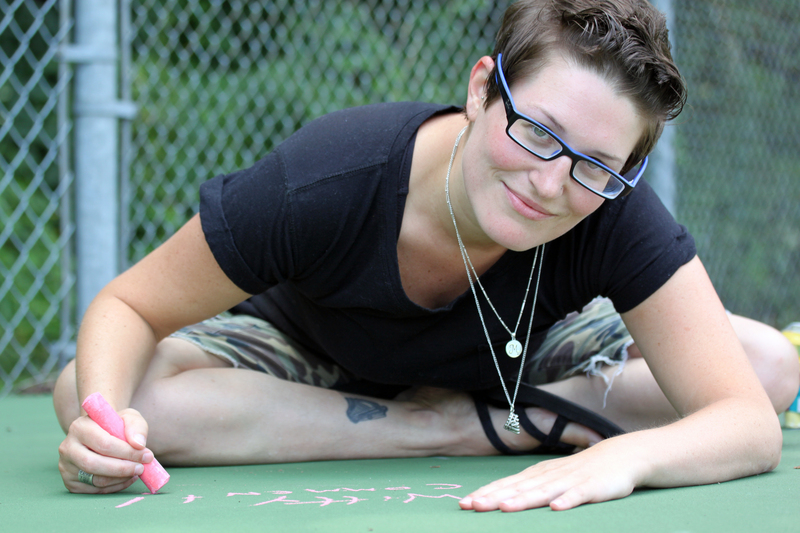 I wanted to write about fighter jets and militarized youth. 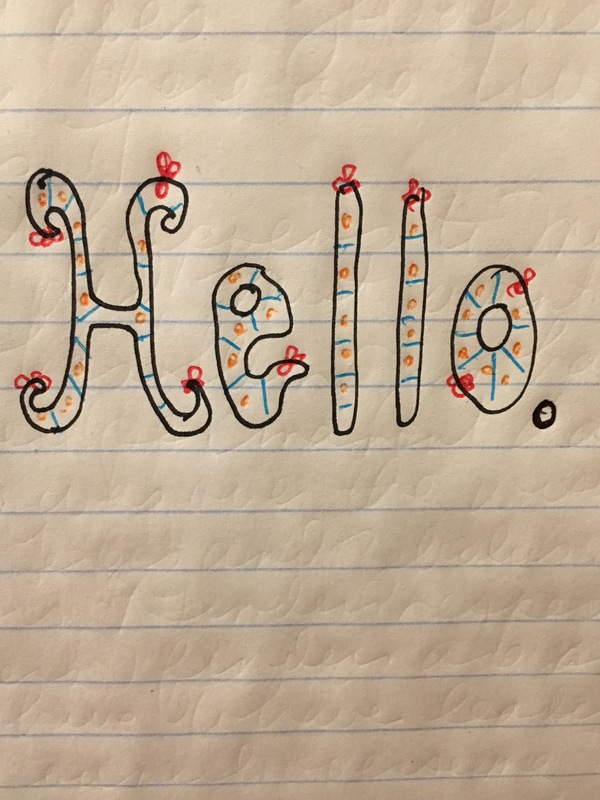 And perhaps most importantly, I wanted to write something fun. El Space: You’re known for your strong characters. How is Chase different from Rain in The Color of Rain? What aspect of your interior life did you give to Chase? Why? Cori: Rain is all survivor’s heart, and Chase? Chase is a bit of a jerk. I have, at many points in my life, been a bit of a jerk as well. The problem is that I sometimes become obsessed with my creative ambitions, and I don’t always notice when I’ve hurt someone’s feelings or neglect them. Chase feels as badly about mistreating the people around her as I do, and she is constantly trying to rise above it. But as I have learned over and over again, it’s not easy to change who you are. Harder still to apologize for it in a way that doesn’t sound like an excuse. El Space: Congrats on the movie rights to your novel being sold to Sony Pictures. How do you wrap your mind around that? What scares or excites you about the thought of being “the next big thing”? Cori: Thank you! The movie news was as unexpected and as it was exciting, and I’m not sure that I have wrapped my mind around it. There’s an element of Hollywood that just can’t be predicted. Will the movie happen? Yes, no, maybe! I’m along for the ride. 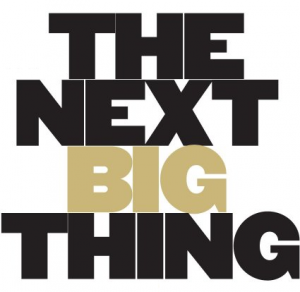 As far as the title “the next big thing,” I know less about processing that than I do about Hollywood! El Space: You’re also a screenwriter. 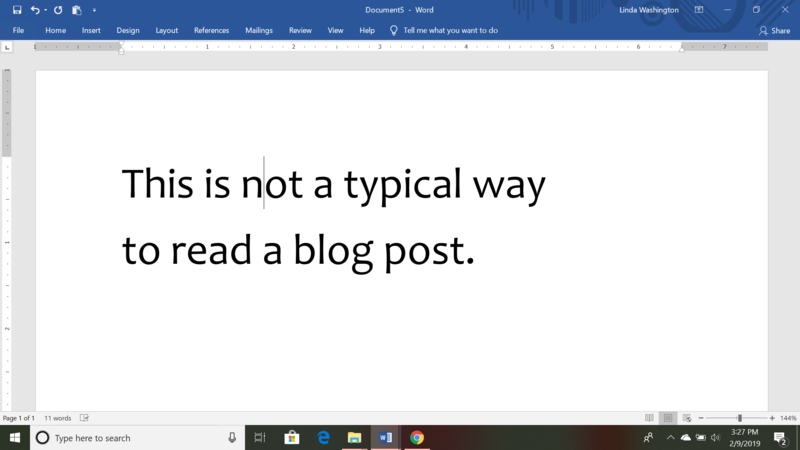 How did that training enhance your writing of Breaking Sky? Cori: Screenwriting taught me how to plot. Hands down. If you’re a writer who is having trouble plotting, I highly, highly, highly suggest taking a class or reading a book on writing screenplays. El Space: Do you or someone you know have a military background? How much research did you have to do to write Breaking Sky? Cori: I chose the Air Force because my grandfather and father served in the Air Force, and my big brother is currently a Master Sergeant in the Air Force. They inspired me, and then from there I did copious amounts of research. I read firsthand accounts of fighter pilots stretching all the way back to World War I. At the same time, I created a fictional jet and academy so that while I could use my research, I could also set my own rules. I mean, I don’t think anyone could write a book about West Point without having attended West Point, so I made up the United Star Academy and the streaker jets. Around your 5 WOT [week of training], your flight can start designing a flight t-shirt. . . . . Let your shirts’ design represent the essence of your flight. I love that idea. As an author, you’ve gone through a “basic training” of sorts now that your debut period is over and you have written multiple books. What would you put on a T-shirt to show where you are today—the “essence” of your career? 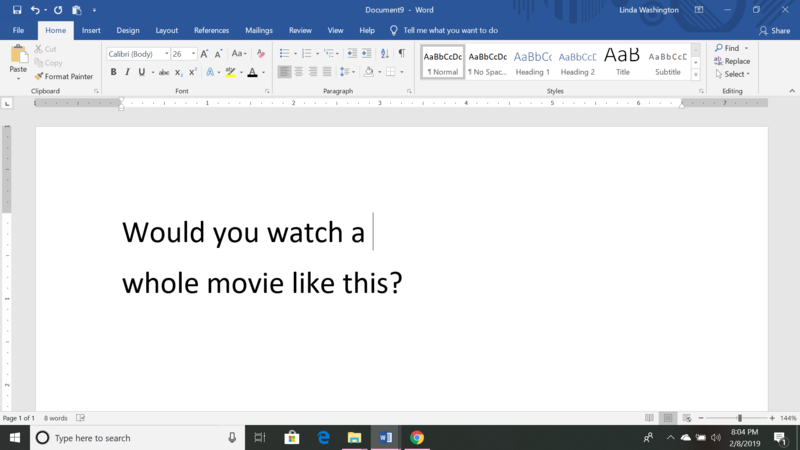 Cori: What a cool question. I think my t-shirt would say: CHASE RAIN. Beyond being my characters’ names, that’s pretty much what I do every time I sit down to write a book. I pull things out of the air and try to make sense of them. For every book that I’ve sold, there are two more that aren’t going anywhere outside of my computer. 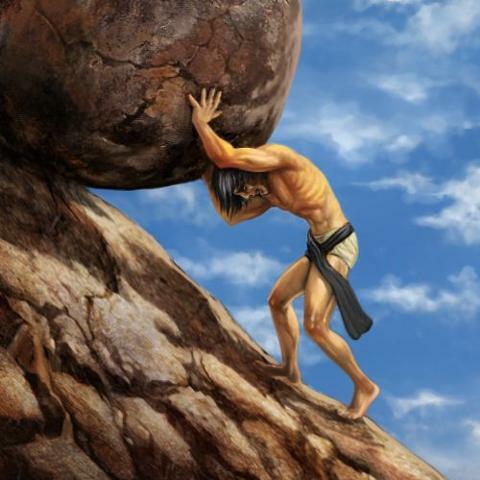 Some days writing feels Sisyphean. Some days it’s poetic. Most days? It’s the best job on the planet. El Space: What genre do you plan to tackle next? Cori: For some crazy reason I’ve decided to write a contemporary story told from five different points of view! It’ll be out March 2016 and is called, You Were Here. I’m excited about it but also terrified because there are no flashy speculative fiction tricks. No distracting jets or heartbreaking prostitutes. This is a story that will allow every single person who reads it to peer directly into my soul. Will anyone like it? I have no idea. . . .
I’m betting we will, Cori. Thanks for being my guest. If you’re looking for Cori, you can find her at the usual places: her website, her author page on Facebook, and Twitter. 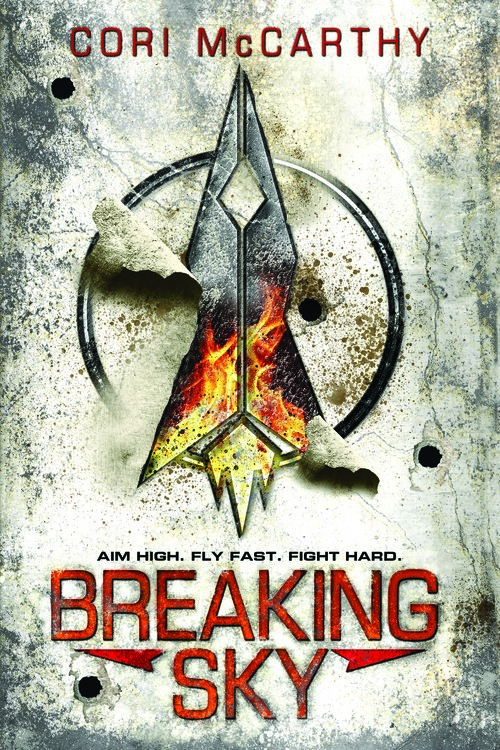 One of you will win a copy of Breaking Sky just by commenting below. The winner will be announced on Thursday, March 26. Author photo and book cover courtesy of Cori McCarthy. 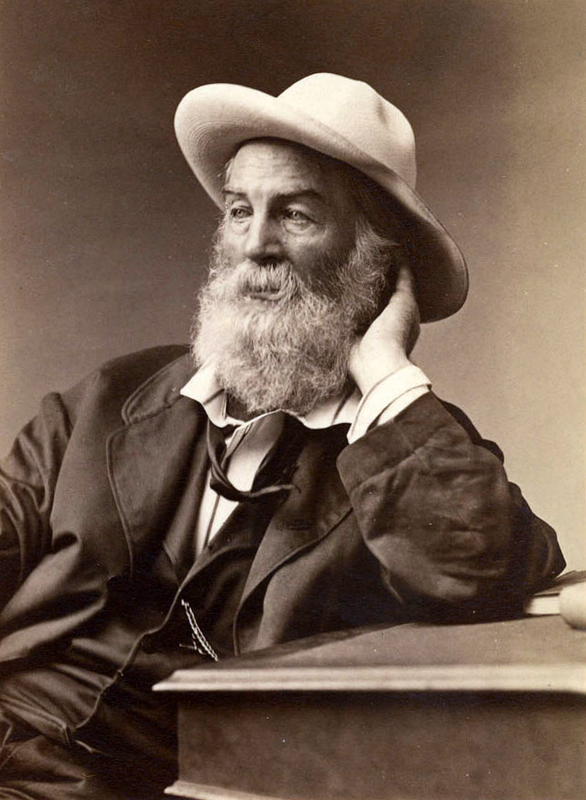 Walt Whitman photo from Wikipedia. 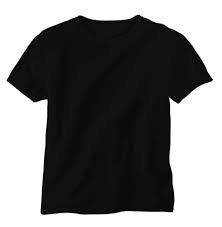 Blank t-shirt from youthedesigner.com. 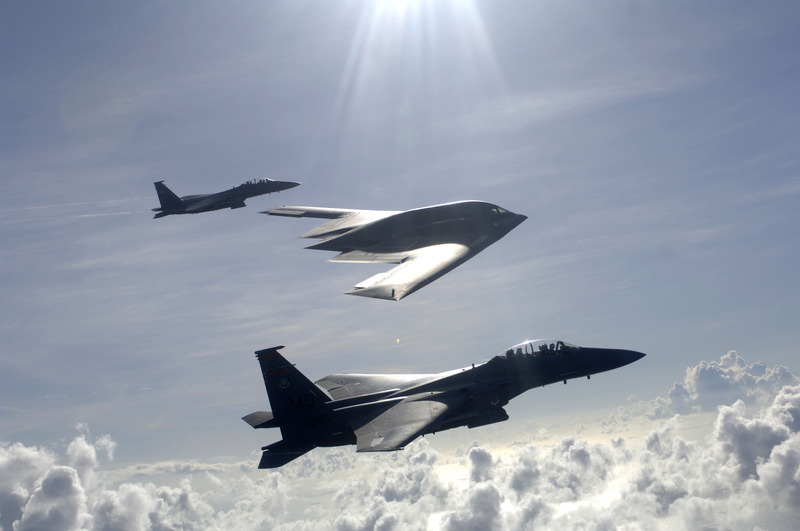 U.S. Air Force bombers from osd.dtic.mil. Sisyphus from arrowinflight.wordpress.com.